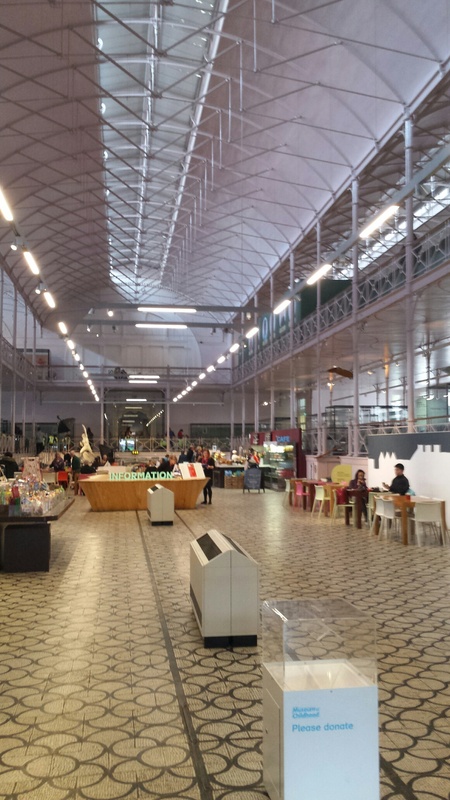 Yes, The Story Bazaar will be publishing a collection of short stories, but this is an exhibition of Small Stories, specifically, doll’s houses, at the V & A Museum of Childhood in Bethnal Green. The Museum, a cavernous space just north of Bethnal Green tube, is free to enter. I ventured there this morning and, Central Line outage not withstanding ( thank you, kindly Scotsman with the impenetrable accent at Aldgate and nice old gentleman on the 254 at Whitechapel ) I was delighted by what I found. The museum itself is one big, galleried space, its iron balconies and pillars remind me of old Wilton’s Music Hall and it houses the largest collection of toys in Europe. It’s fun spotting remembered items, a Bagatelle, a Kaleidescope, though I couldn’t see an Etchasketch anywhere. It’s worth a visit here, just to spark the memories. 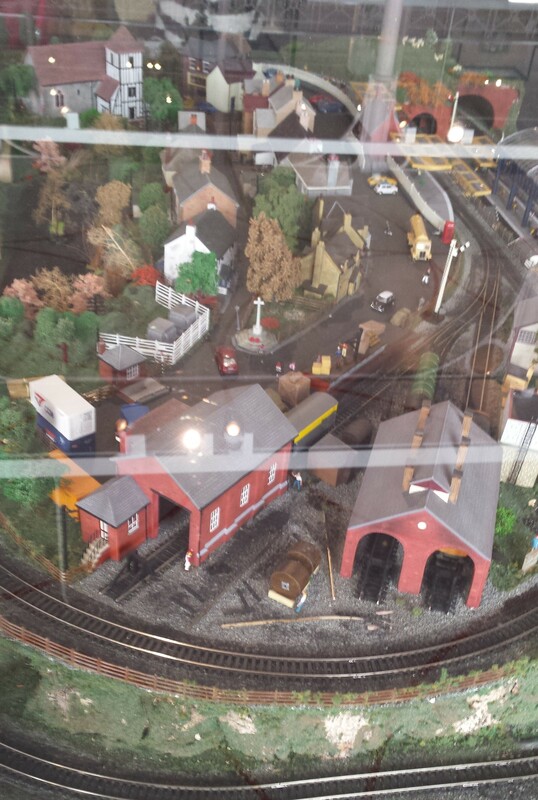 I wish I had owned the model railway (pictured) and the pagoda park, though I fear I would never have actually been allowed to play with them. 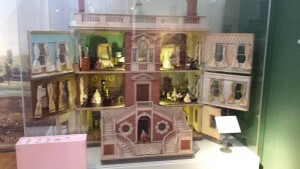 But, one childhood possession I did play with was my doll’s house and the current exhibition showcases twelve of the most amazing doll’s houses in the V & A’s collection, dating from across 300 years of childhood. From exquisite but grand ‘cabinet houses’ from the 18th century, to Queen Mary’s doll’s house, an ‘Arts & Crafts’ house and a 1920’s Art Deco house, to a distinctly ‘Bauhaus’ house. Each item is individually lit and there are recorded narrations by ‘characters’, to illustrate what life was like in the real, life-size versions of some of the houses. My favourite was the grand Georgian house ( below ), but I liked the turreted house too ( “It’s like Downton,” the Museum assistant remarked ). 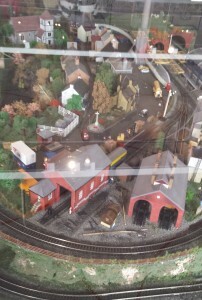 The exhibition – also free- runs until 6th September. Find more images at JulieJ on Pinterest. This entry was posted in Culture Vulture and tagged Worth a visit by juliej. Bookmark the permalink.